- Saturday's weather called for cold but clear skies. 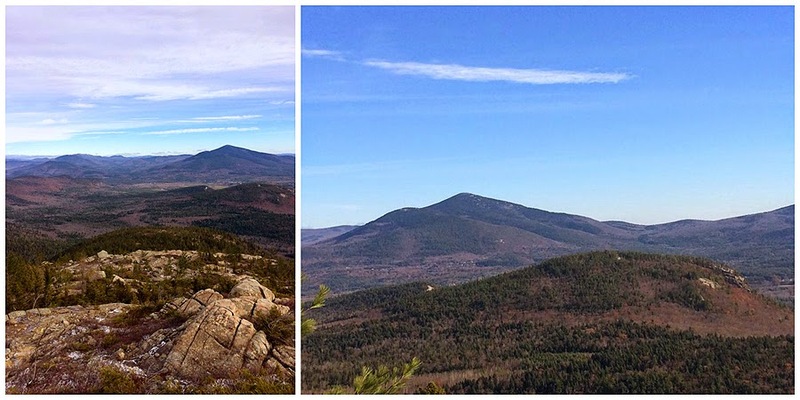 Whitney had to work in the afternoon so it would have to be a mountain somewhat in the vicinity of North Conway and at a quick pace. If a hike is going to be at a quick pace, our friend Kyle would definitely want to join in on the fun so we sent him a message and he was excited to meet up. We decided on a modified Moat Mountain Traverse, heading up Red Ridge instead of over North Moat so we could get some big views as we gained the ridge. 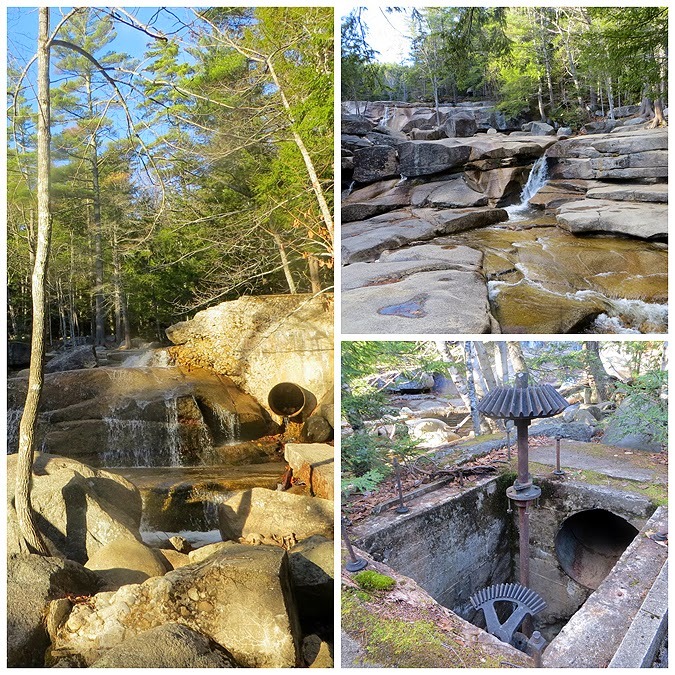 - We started hiking at 7:45 am and headed to Diana's Bath where we checked out the staircase type waterfall and the old sawmill structures in the Lucy Brook. 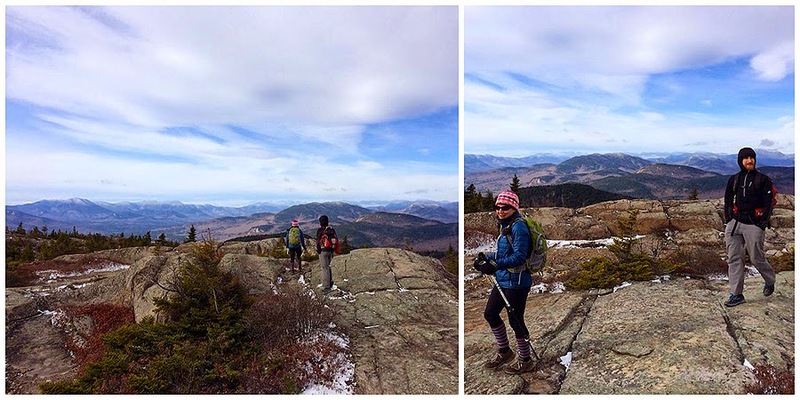 - Soon after the falls we banged a left on the Red Ridge Trail which continued over flat and moderate grades through open woods, past a fire road, over Moat Brook before steeply ascending the ridge past a landslide and up slab. On the steepest part, we went into overdrive, AKA 'Whitney Pace' and quickly ascended the toughest part of the hike at a super fast accelerated heart rate pace! 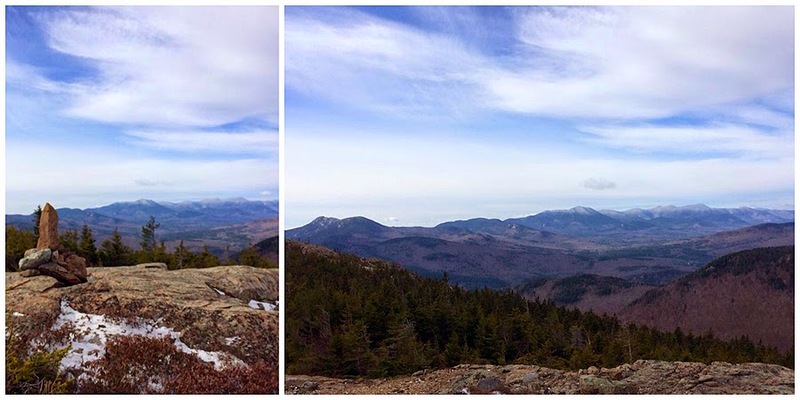 - Views down to North Conway are fantastic from the ridge, even better views were had to the northwest to the Presidential Range as the upper elevations were glistening in a vivid white color from the previous days snow. 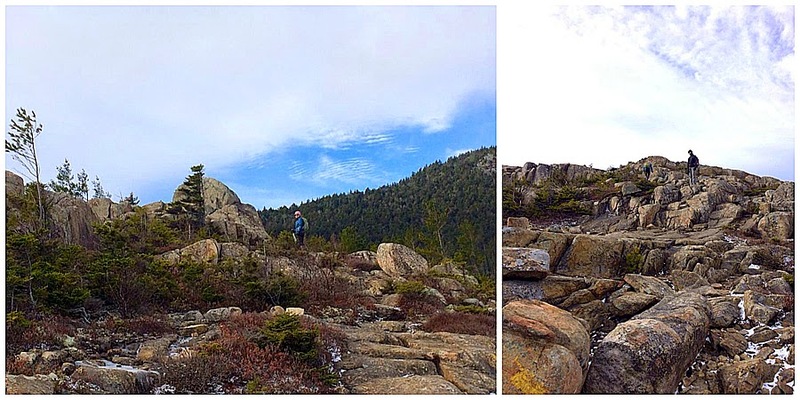 - Once we gained the ridge we took a left and headed over Middle and South Moat which had tremendous views over to Chocorua, Passaconaway, Sleepers, Tripyramids, and the Sandwich Wilderness. The hike between Middle and South moat is along open ledges and has some of the finest hiking around for views, this section rivals some of the 4,000 foot plus mountains. - We took a nice long break at South Moat before booking it back down to the car finishing up before noon. 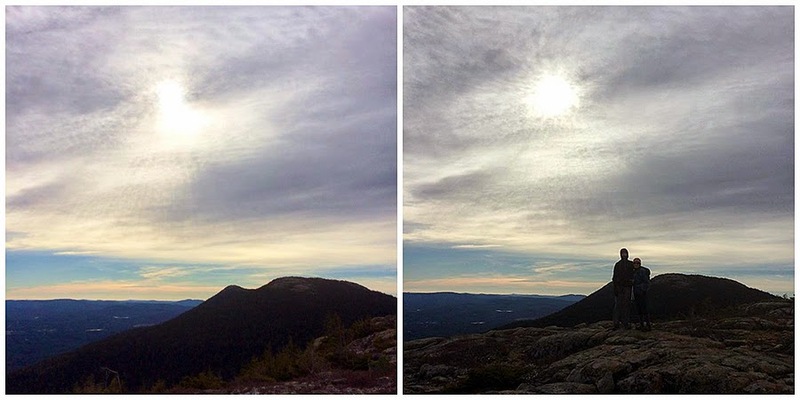 It was a fun quick hike with two of the fastest hikers I know and it was great to hike with Kyle again!